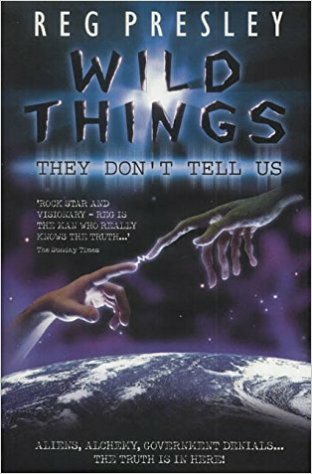 Discussion in 'UFOs, Aliens, Monsters, and the Paranormal' started by Mick West, Oct 10, 2017. "Something extraordinary is about to be revealed" wrote Leslie Kean in an article today in the Huffington Post. This type of breathless anticipation of a revelation runs through all of conspiracy culture. Chemtrail promoters are constantly saying how the government is at the point of admitting to covert geoengineering. 9/11 Truthers are constant on the verge of finding the definitive whistle blower. And people who think the government is covering up knowledge of encounters with aliens (or alien technology) are constant operating with the sense that "disclosure" is just around the corner. Kean starts out strong, with an exciting headline. "Inside Knowledge About Unidentified Aerial Phenomena Could Lead To World-Changing Technology", which is the sort of thing that's literally true - like if we found out how alien spacecraft worked (or just got a good look at one) then it would likely yield useful science. But it a tautology that's basically meaningless if there is no actual data to study. On Wednesday October 11, at 9:00 AM PT and 12:00 PM EST, the team will launch the new initiative at an event to be live-streamed from Seattle. Tom will introduce his colleagues and explain the intentions and purpose of the new company, and its need for public support. To tune in, or to watch it aftewards, click here. Basically DeLonge is a UFO enthusiast, and probably a big reader of science fiction. He believes the government is hiding alien technology and has fallen for the allure of impending "disclosure". Given that he's moderately rich and famous he figures he can spend some of his money and use his celebrity status to push this along. So he set up this company "To The Stars", thinking that it's such a popular topic that he can advance the cause of disclosure while making money by developing warp drives, making documentaries and selling merchandise. So far he's sunk over $600,000 into it, but does not yet seem to have made any significant income. He has been in talks with people like Netflix, Amazon and VICE though, which is likely where the money will be. to harvest the [alien] technology to build a vehicle that will allow for almost instantaneous travel through land, air, oceans and space, by engineering the fabric of space-time. Such a vehicle could also float, like something from science fiction. Steve says we have had glimpses of the science that could make this possible. It is not outside the realm of possibiity, if the necessary resources are in place. "Steve" there is Steve Justice, the Director of the Aerospace Division of DeLonge's TTS. There's a lot of similarly impressively titled corporate officers with similarly impressive goals for the technology that's about to be somehow handed just to them. "Engineering Space-Time" might be about the most impressive though, behind telepathy. Although "consciousness" might be up there, depending on what it means. It's hard to take this seriously, as it all seems to be on the boundary between fantasy and reality - between science fiction and actual science. Mostly though it all just seems like wishful thinking. People want to believe. People like me who read science fiction want to have visits from aliens, we want to colonize the planets, we want to develop warp drives, we want flying cars. But it's easy to slip from wanting things to assuming that those things are just around the corner, even being deliberately withheld by the government for some unknown reason. Regarding UAP, [Justice] told me that since so many smart, credible people have seen them, he has concluded they must be real. “That means it can be done - these unusual flight characteristics can be done. So how do you do it? I want to dig into how you do it. It can be done! Of course we can apply this "so many smart, credible people" to all kinds of topics - 9/11 Truth for example has various organizations of engineers and scientists who think they have evidence that the WTC towers were destroyed by controlled demolition. Lots of "smart credible people" think man-made climate change is a hoax, lots more have seen ghosts, think you can run a car on water, talked to God, and been abducted by aliens. You can find a small percentage of smart people who will back just about any idea - the real challenge is to get actual evidence. Unfortunately though this fallacy of group authority seems to work. People believe in 9/11 Truth because a small percentage of a huge group is still a lot of people, and a lot of people can seem like everyone believes, if those people are the one you spend most of your time conversing with on the topic. So why am I writing this the day before the big disclosure? Largely because I don't think it's going to be a big disclosure. It's going to be the announcement of some project that's largely a continuation of their stated goals. Maybe with some new retired guy who wants to share his story about strange lights in the sky he saw in the 1960s. But there's going to be no real meat, no disclosure. More specifically I think that Kean's claim that "Something extraordinary is about to be revealed" is false. I'd be more than happy to be proved wrong, we'll see tomorrow. Sci-fi fans are going colonize the solar system, and maybe beyond. But it's not going to be these folk who expect some kind of magical bounty from mythical alien technology for which there is no real evidence. It's going to be more pragmatic folk building upon real science. Tom DeLonge will not take us to the stars, but Elon Musk just might. Support from John Podesta for DeLonge's announcement. Minor intersection of conspiracies, as Podesta was part of the "Pizzagate" nonsense. See the comments. The photos are marketing material for DeLong's "Sekret Machines" project of semi-fictional books and films. This story suggests it's just going to be introducing the people listed on their web site, and someone telling a UFO story. One element will be entertainment -- movies and books consistent with the theme of cutting edge science. But the bigger story will be the partners who will step forward -- noted physicist Dr. Hal Puthoff, who has worked for the CIA and NSA, as well as private think tanks, studying exotic propulsion technologies, Chris Mellon who served in the office of the secretary of defense in two administrations, Steve Justice, head of advanced systems for Lockheed's Skunkworks, whose previous projects were developed at Nevada's Area 51 base. He will reportedly oversee the development of an exotic craft inspired by -- and a rival to -- the technology displayed in some UFO encounters. Also, Luiz Elizondo, who until a week ago worked for the secretary of defense in charge of identifying unidentified aerial threats, a job the public didn't know existed until now. DeLonge's webpage outlines some of what the public corporation hopes to do, and a big part of that will be the ongoing investigation of cutting edge phenomena, subjects that, for decades, have been studied in secrecy by small groups within the government. I-Team Reporter George Knapp: "It's hard to tell the public there are people in the government and military who know it's real and important and true." Several of the people mentioned in the I-Team story will speak publicly Wednesday about UFOs and other exotic pursuits. The I-Team was also told that there is a pretty dramatic UFO encounter involving the U.S. Military that will be revealed and documented. Utter nonsense of course. If you have alien technology you don't spend years making a flying car. You tell the world you have alien technology. Vague promises of amazing things is one of the the hallmarks of a free-energy scam (like Steorn, which burned though $23 million and produced nothing). But I doubt it's even that. I think Stephen Justice and others are simply thinking that they can use eyewitness accounts of how UFOs flew to figure out the physics and then build something similar. What's sad is that he's going to keep getting media attention like the above, and more people will think that there's actually something to this. Their live broadcast starts in ten minutes, and should also be available to watch after the fact. They fleshed out the artwork for the flying craft a little. Still requires some magic. One of the guys worked on the CIA's "Psychic Spies" program, an old pseudoscientific waste of time. Steve Justice talked. He's basically saying if we try really hard then we will be able to advance technology and make amazing stuff that will change the world. That's all. What exactly does he think scientists and R&D departments are doing? DeLonge closed with what this is all about, a call for investors. I couldn’t get any sound on the webpage broadcast and unfortunately I noticed UFO of Interests link too late. The few minutes I did hear seemed to be purely investing orientated. that design makes no sense what-so-ever. Thanks Mick, I watched it, however, I wasn’t impressed. The pitch was very broad, from using the money raised to make films for entertainment (cinema/online) to doing research on fringe technology. In my opinion, it’s doomed to failure. A MESSAGE FOR MY FRIENDS HERE: Folks, I'm concerned that some of you are missing the point. The head of a secret UFO program at the DOD has just come forward to confirm the existence of that program. Based on the work of this official program, he has stated for the world to hear, that UFOs are unquestionably real. He left that program less than 2 weeks ago. This is as close to official "disclosure" as we have come since the close of Project Blue Book. It's big news. lengthy line-up of names has any intriguing, insider UFO info at all?!? "...entertainment company called To The Stars (TTS)...the goal of disseminating information about UFOs..."
First, they're admitting up front that it's entertainment, and a way of "maximizing profit for shareholders,"
presumably monetizing content gullible folks send in. Also, no real need to beg for $$$ to build a slick website for "disseminating information about UFOs..."
...that entity already exists: It's called the Internet. actually, my conclusion from that blurb is that Luiz Elizondo must have solid evidence of aliens, as well as the blueprints to all the technology already. Otherwise, why would he leave a job with access to the inside information? I hope they received permission from Douglas aircraft for borrowing their design. I don’t fully understand what part the entertainment/film side plays in all this. To make a decent sci-fi film would cost a fair bit with no guarantees of any return (Battlefield Earth anyone?). Also what would be the aim in making these films? The whole idea is very confusing. Also what would be the aim in making these films? From articles I've read, it sounds kinda like .."Loose Change" or that movie Al Gore made about climate change. I think the goal is to '[get the public on board]' (on board the idea, not on board the fantasy plane). This seems to be the closest explanation of the "amazing thing"
Officially the U.S. government says it stopped studying UFOs in 1969 when Project Blue Book was cancelled by the air force. At the announcement event in Seattle, that version of history was challenged by a man, who until a week ago, worked directly under Secretary of Defense James Mattis. "For nearly the next decade, I ran a sensitive aerospace identification program focusing on unidentified aerial technologies. It was in this position that I learned the phenomena is indeed real," said Luis Elizondo. As of April 2003, the USAF has publicly indicated that there are no immediate plans to re-establish any official government UFO study programs. Blue Book stopped because the program was flawed. However that does not mean that the military would then simply ignore any report of an flying object that eluded identification. Of course they looked into them. The most obvious reason being that these reports, especially from experienced personnel, could represent new treats from old foes - specifically Russia and China, but also ISIS, North Korea, etc. The rapid emergence of unmanned aerial systems – more commonly termed drones -- is spurring a range of disruptive developments. Drone technology operates at various levels of autonomy and is providing novel platforms for industries and knowledge to evolve, such as with precision harvesting in agriculture. Yet, increased use of drone technology is also testing the bounds of traditional regulatory oversight. One area which highlights unusual opportunities and challenges with drone technology involves nuclear facilities and radiological protection. In the past few years, drone overflights at nuclear facilities have triggered security concerns. In June of 2016, for example, unmanned aerial vehicle flights were observed over the Savannah River Site (SRS) in South Carolina, US  -- a site which spans 310 square miles, processes nuclear materials, and is a no fly zone for aircraft. Similar breaches of restricted airspace occurred in what appeared to be a coordinated effort over 13 of France’s 19 nuclear power plants (NPPs) by unidentified drones between October and November of 2014 [9, 34]. Intrusions, such as these, highlight obvious needs for new thinking about how nuclear facilities and radiological sources are protected. So unless he gives some actual information from his work, then all we have is his own personal conviction. In recent years, The Troggs' frontman, Reg Presley has become as well known for his obsession with crop circles as for penning evergreen pop hits like 'Love Is All Around' and 'With a Girl Like You'. Indeed, in 1994 when Wet Wet Wet spent a whopping 15 weeks at number one with their cover of 'Love Is All Around', Reg famously joked that on receipt of the imminent royalties, he'd finally be able to devote all his time to investigating the mysterious field formations. 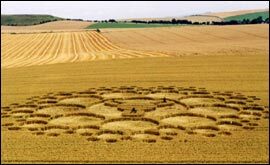 Reg's interest in the paranormal was piqued one summer's day in 1990 when he walked into a crop formation at Alton Barnes in Marlborough. His life was changed forever. What's your opinion of this Nimitz incident, Mick? Has it ever been explained? I’ve not looked into it. But I doubt they would use an identified case as their prime example. to legitimize entertainment films (of any budget) that they'll make...as "true" or "insider" info. who knows, they might make some money. Well I'm only covering them because I think the other sources, especially HuffPo, are being far too unskeptical. This is really about the claim that "something amazing" was going to be revealed. It's interesting that the UFO community seems to think this IS amazing, that someone from "government" has come forward and said that something unspecified and likely unknowable was "real". Sounds to me like glitches on a new radar system, maybe some half-glimpsed seagulls, combined with unnecessary reverence for the observational and interpretational capabilities of pilots. The two "white blob on blue sky" photos accompany the article are from unrelated cases, probably balloons. But those images make it look like there's more evidence than there actually is. Also the entire story is related with what appears to be a degree of creativity. Here's the source of the second image, from a UFO summoner. 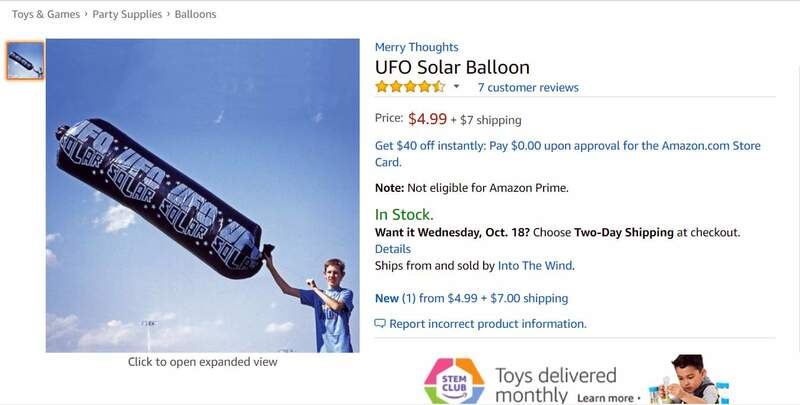 Just a balloon. Yes, indeed - apart from the military jargon which I didn't understand. I'm always amused at the reverence given to pilots, police, military, etc. who report UFOs, as if their credibility is somehow more worthy of respect than that of the average person! From what I've read, they're no more, nor no less, capable of reporting accurately than anyone else. It's interesting that the UFO community seems to think this IS amazing, that someone from "government" has come forward and said that something unspecified and likely unknowable was "real". A direct example of this is the Chilean Navy case. Of course pilots are better at visually interpreting some situations. But that does not make them immune to mistake. It perhaps improves their odds, but also brings some unique cognitive biases. I was an Intelligence Specialist serving on board the USS Dwight D. Eisenhower. We had a F-14 pilot come back and said he had a picture of an AGI (a Soviet intelligence ship) we were interested in. We developed his film. He had a picture of a cruise ship. I think several important angles risk being missed in the process of attempting to debunk the announcement. A private company has been set up to investigate UFOs/UAP, not a nonprofit like MUFON, and it is not simply to break new scientific ground for humanity's understanding. It seeks to create a groundswell of enthusiasm for a new space race compared to the strength of feeling last achieved during the Cold War with the Soviet Union, because with popular support for advanced programs, research and development can happen more quickly. If I understood correctly, this is a nationalistic, military agenda. It has the overt support of senior defense officials, one of whom has revealed a previously unknown high-level government UAP study group. It seeks to change public opinion by mixing education with entertainment. They want to spur the movement on by influencing Hollywood to broaden its sci-fi palette to include themes favorable to the TTS/AAS agenda. In other words, generate propaganda. If this venture has gained public backing from ex-government officials, why does the government wish to offer support? If there is to be a 'space race' level of popular interest, why the urgency? Will this space race also have an enemy (real or imagined)? If groundbreaking discoveries are made publicly, will the defense world be permitted to 'reveal' similar discoveries already made? Will the defense officials proactively 'leak' certain classified developments to this organization so that they can be exposed to public view? Who will own and benefit from such advances? What does this loose association of defense officials, aerospace engineers and propagandists wish to study, if UAP are all really Chinese lanterns, airplane landing lights and the planet Venus? That statement was made before relativity and quantum physics were elaborated. There is a lot that we do not know, both about the exterior universe (what dark matter is) and about our interior universe (what consciousness is). As a side point, I almost feel that if consciousness were not shared between and experienced by all other Metabunk users, it would be held up as an example of non-material, wishy washy, supernatural nonsense within an otherwise fully understood material universe. The final question to ask ourselves is what if there is a phenomenon behind some of the UAP sightings which is beyond the boundaries of current science, but nonetheless real? And has come to the hypothesis that these UAP operate using a field of some kind. Given that they outperform conventional fighter jets, they would have obvious and worrying military uses. Could you please point to the posts that lead you to this ("lot of discomfort," here) conclusion? The National Institute for Discovery Science (NIDSci) was a privately financed research organization based in Las Vegas, Nevada, USA, and operated from 1995 to 2004. It was founded in 1995 by real-estate developer Robert Bigelow, who set it up to research and advance serious study of various fringe science, and paranormal topics, most notably ufology. Deputy Administrator Colm Kelleher was quoted as saying the organization was not designed to study UFOs only. "We don't study aliens, we study anomalies. They're the same thing in a lot of people's minds, but not in our minds." NIDSci was disbanded in October 2004. Joseph P. Firmage, 28, founder of USWeb, a $2.5 billion Internet consulting company in Santa Clara, Calif., has been on the cutting edge of the technology revolution. But last week he quit his post with the company, lest some people think his theories had gone over the edge of credulity. He believes, you see, that extraterrestrials have visited Earth and possibly helped seed recent technology advances. He has published his ideas in ''The Truth'' (www.thewordistruth .org), a 600-page ''book'' that also discusses the influence of aliens on science and religion. Demand is such, he said, that he took the site down on Friday to triple the capacity. He has formed the International Space Sciences Organization to promote the hypotheses in his book. We seek to advance human understanding of the fundamental nature and functions of matter and energy, yielding breakthroughs in propulsion, energy generation, and likely a deeper appreciation for the physical processes underlying consciousness. ISSO is organized into two operating groups. The first, ISSO Science, is pursuing a research agenda which includes theoretical and experimental studies of breakthrough propulsion, energy generation, and the physical processes of consciousness. ISSO Science has provided grants to a small number of researchers and organizations involved in advanced studies in these domains. CUFOS - The Center for UFO Studies: A well financed organization founded in 1973 by the famous Dr. J. Allen Hynek. He was able to hire a full time investigator. Allan Hendry (born 1950) is an American astronomer and ufologist. UFO historian Jerome Clark calls him "one of the most skilled investigators in the history of UFO research." He was the main investigator for the Center for UFO Studies (CUFOS) in the 1970s. He earned a B.A. in astronomy from the University of Michigan in 1972. His wife Dr. Elaine Hendry is a physicist and was also a UFO researcher. Hendry was hired for CUFOS by the organization's founder, Dr. J. Allen Hynek, who was seeking a full-time investigator with scientific expertise and an open-minded attitude, and who was neither a debunkernor a "UFO believer". As the chief investigator for CUFOS during most of the 1970s, Hendry personally investigated over 1000 UFO reports. He was able to find mundane explanations for the vast majority of UFO cases, but he also judged a small percentage of cases to be unexplained. One of the most famous "unexplained" cases he investigated was the Val Johnson Incident in 1979, in which a deputy sheriff in Minnesota experienced a "collision" with an unknown object which damaged his patrol car and left him temporarily unconscious. Hendry was the primary ufologist to investigate the case; in 1980 he debated the incident with well-known UFO debunker Philip Klass at a symposium held at the Smithsonian Institution. He was reluctant to speculate as to origins of the unexplained cases, and argued they might be explainable with further data, leading some researchers to label Hendry a "closet skeptic". At the same time, a few noted skeptics and debunkers who had praised Hendry's scientific rigor subjected him to strong criticism for his conclusion that a handful of well-documented UFO reports seemed to defy analysis, and might represent genuine anomalies. Hendry suggested that the criticism from both camps were little more than ad hominem attacks, since they typically paid little or no attention to the substance of his research. Hendry's magnum opus was The UFO Handbook, a guide for other UFO investigators. In the book, Hendry castigates many mainstream scientists for what he sees as their neglecting UFO studies, but he also had strong criticism for many amateur UFO investigators, who he thought did the subject more harm than good. 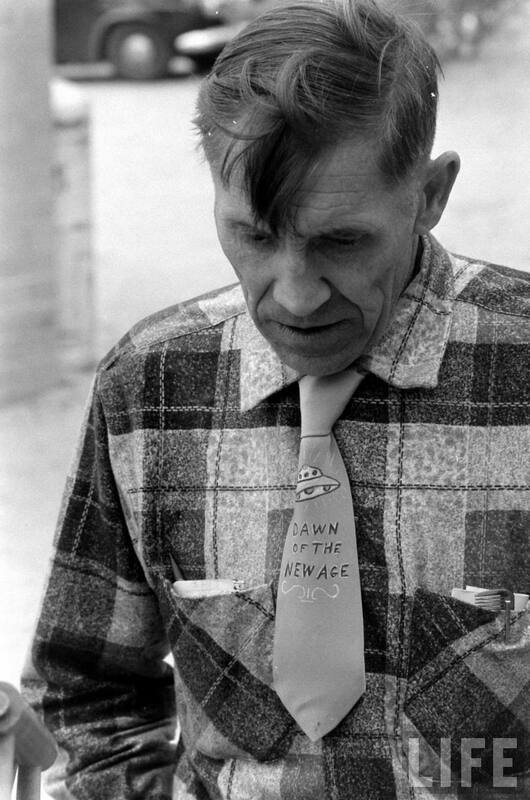 Clark characterized Hendry's appraisal of ufology in general as "deeply pessimistic", concluding that the subject was all but paralyzed by infighting, a lack of cooperation and standardization, and dubious claims. The UFO Handbook even earned the praise of arch-skeptic Philip J. Klass, who in a review published in The Skeptical Inquirer described the book as "one of the most significant and useful books on the subject ever published." In an undated PBS interview (sometime after 1994, based on publication dates of a few cited books), Klass again recommends Hendry's book, calling it "Once [sic] of the best." In the early 1980s CUFOS experienced some financial difficulties, and as a result the organization could no longer afford a full-time researcher. In addition, Hendry had come to the conclusion that the methodologies used to study UFOs were ultimately frustrating, inconclusive and futile. As a result, Hendry left CUFOS and has largely avoided further involvement in UFO studies to this day. The UFO Handbook is indeed the single best UFO book. I own a copy. CUFOS is barely active. 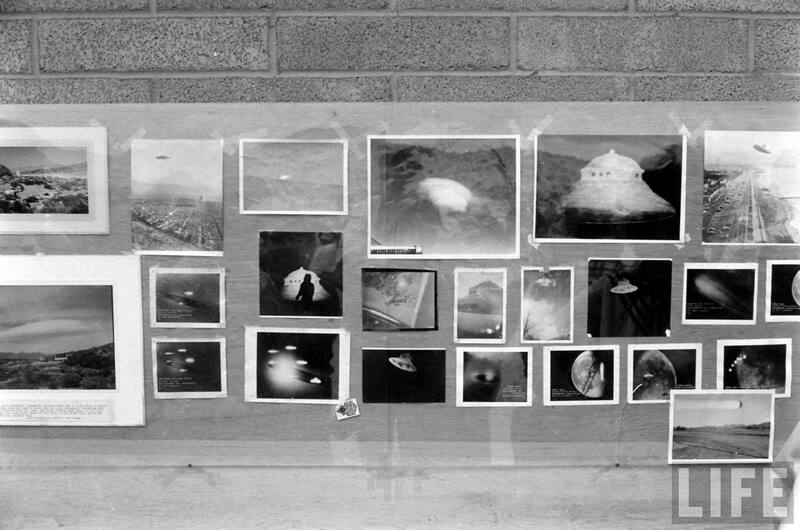 Mostly just a collection of UFO stuff curated by one guy. A now-defunct organization, founded in 1957, that had a membership of scientists, engineers, professionals, and educated laymen interested in taking scientific action to resolve the controversial elements in UFO reports. Its objectives were as follows: to provide an accessible outlet for all interested persons who wish to report any aerial phenomena experiences without fear of ridicule or undue publicity; to "edify a confused media" with factual press releases, lectures, conferences, and interviews; to research and evaluate all UFO cases to which scientific criteria can be applied and analyzed with the use of specialized talents and instrumentation; to continue to pursue legal action against the federal government with lawsuits and Freedom of Information Act requests for release of UFO materials; and to bring forth workable hypotheses and theories of UFO origin and reasons for their continuing surveillance. 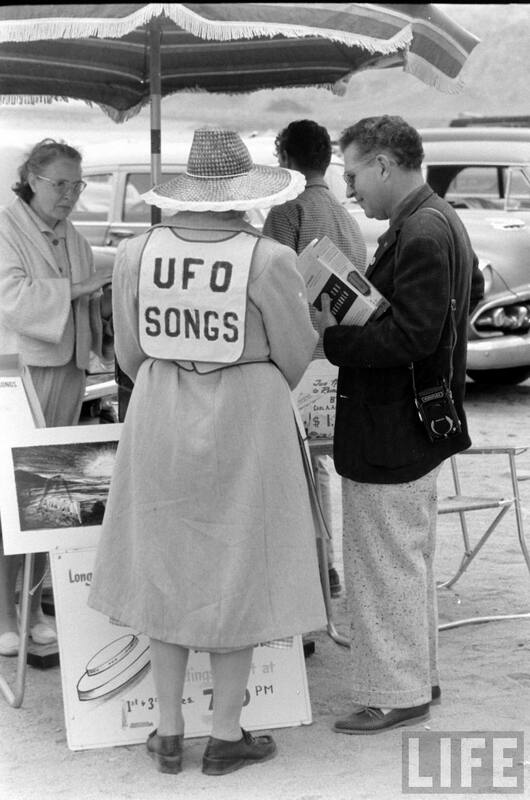 Flying Saucer Convention, 1957 at Giant Rock Airport, Calif. These people believed, passionately, that a new age was dawning. What I'm trying to say here is that UFO's have been around a LONG time. People have poured their heart and soul into flying saucers, UFOs and Alien encounters of the third kind, grown old and died. Nothing ever happens. Thanks for the list...it tells a story. And heck, when even Data says "Nothing ever happens," I gotta take that to heart! There seems to be a lot of apprehension and discomfort about the topic of this venture on Metabunk. I think your perception of this perhaps illustrates the general difference between UFO believers and skeptics. What is actually here is is basically eye-rolling and sighs about something that appears like obvious flim-flam. The actual reaction is, as noted above, "oh, this type of thing again, and people are going to fall for it". But you see this as "discomfort". It's a disproportionate interpretation, and it's also a little startling that your would make it, as there seems to be zero discomfort or apprehension here. And that's the level of "science" that we see here. Basically, UFO move weird so they must be using something new to science, and it would be great if we could get that technology. It's just a bunch of wishful thinking. Really the simplest explanation is that there are no new laws of physics, and the observations are explained by normal objects and the vagaries of human perception. Hill was a believer in UFOs, and he worked at NASA until 1970. But of course nothing happened. I'm not apprehensive, I'm simply observing a repetition of events. Nothing will come of it. In fact I'd put money on it - that in five years they will have produced nothing other than entertainment. $20? I would agree with that. Let's face it - nobody has yet produced evidence that a UFO has landed, that aliens got out of it and made contact with humans, much less taken clear, sharp, uncontroversial photos or videos of such an event, from multiple angles and by multiple witnesses. Nor has anyone proven that 'aliens live among us' - another favorite claim. Let's see those aliens, name them, photograph them, let's hear them speak....until then, it's just fabrication. When such evidence is produced, if ever, it'll be time to rethink the whole UFO phenomenon.